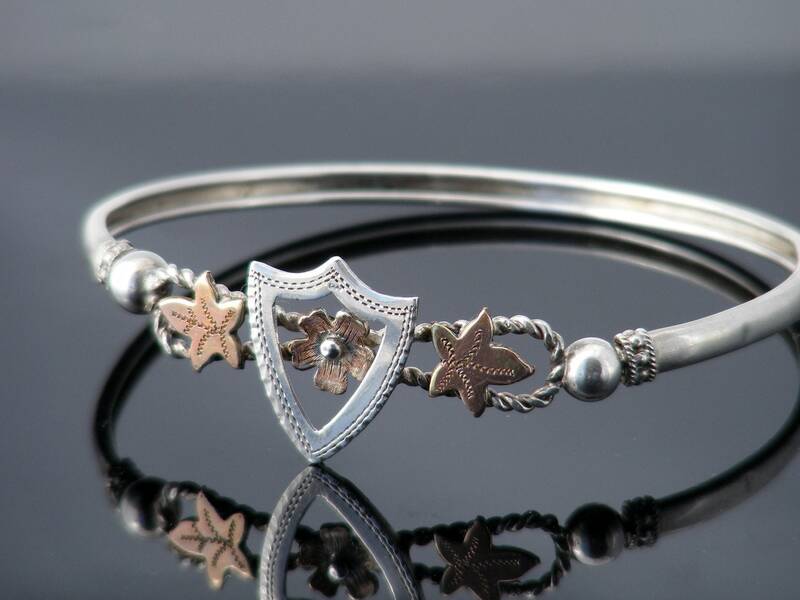 A delightful Victorian bracelet in sterling silver with a focal featuring a shield with an applied rose gold Forget-Me-Not flower and ivy leaves, all linked together with a fine silver rope twist. 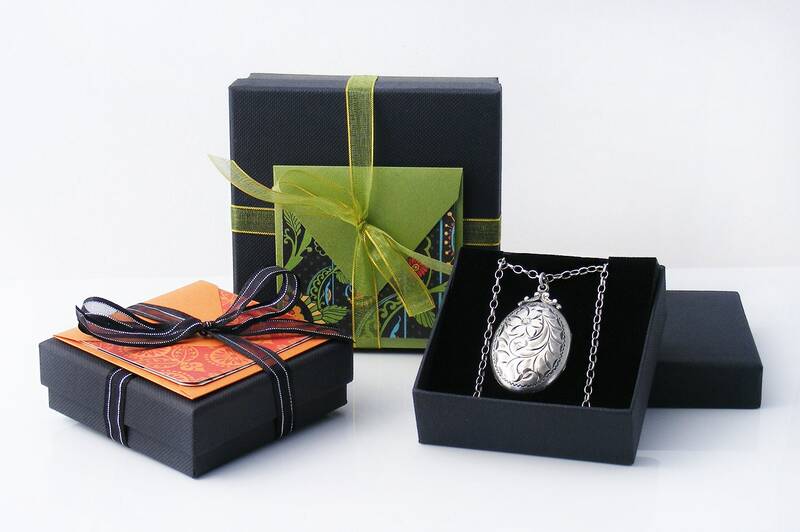 Gorgeous, light and easy to wear, the many textures give lovely contrast and reflection. 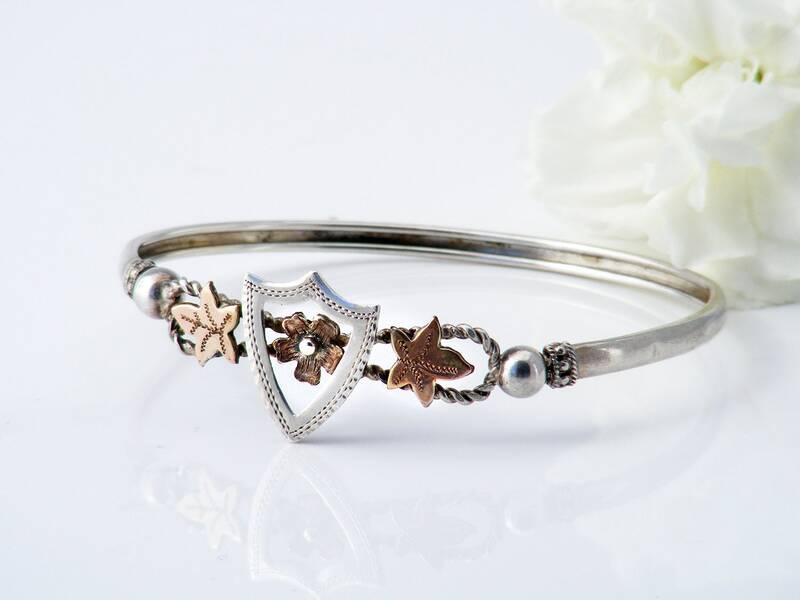 There are no silver marks which is not unusual for the era, the bangle is tested and guaranteed to be sterling silver and the rose gold is applied to the trim. The slightly oval bangle has inner measurements of 2 x 2.3inches (52 x 58mm) with an inside circumference of 6.75 inches (fits a 6.5 inch wrist perfectly). The band width is 2.75mm wide. The crescents on the focal are 15mm in size with the ribbed balls 8mm. Condition: Excellent. 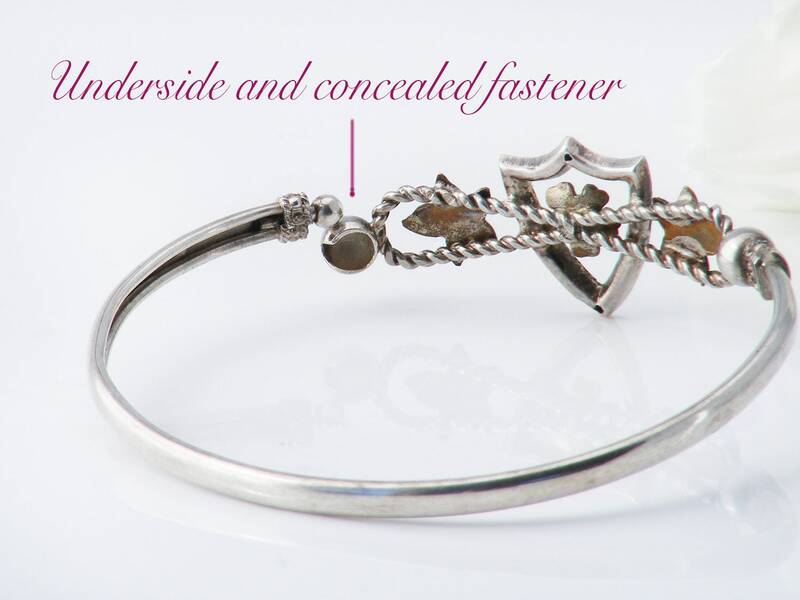 Beautifully sprung so that the bangle fits perfectly without feeling tight. Nice natural patina to the silver. Delicate but strong with lots of Victorian symbolism in the embellishment - this is a beauty.